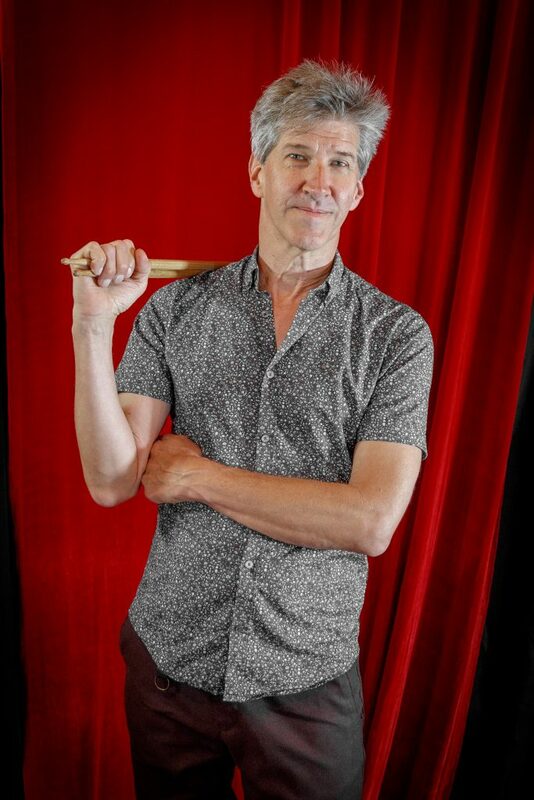 Chad Wackerman | Los Lobotomys - The Official Site | World renowned instrumental band, playing everything from hard rock to be-bop, with a strong focus on improvisation. A phenomenally skilled jazz and rock drummer, Chad’s professional career began in 1978 with the Bill Watrous band. Since then he has amassed a remarkable body of work including a seven year association with Frank Zappa, with whom he toured the USA and Europe and recorded 26 albums including the London Symphony recordings. He has also recorded 6 albums and toured with guitar legend Allan Holdsworth, played on the ‘One Voice’ album and video with Barbra Streisand, and recorded albums and toured with artists as diverse as Steve Vai, Andy Summers, Men At Work, Ed Mann, Albert Lee, Colin Hay, Dweezil Zappa, Pasqua/Holdsworth/Haslip/Wackerman Group, Terry Bozzio, Carl Verheyen and David Garfield. Chad has also toured with James Taylor, John Patitucci, Joe Sample, Banned From Utopia and The World Drummers Ensemble (Bill Bruford, Luis Conte, Dou Dou Ndiaye Rose and Chad Wackerman) . As a band leader and composer Chad has five critically acclaimed CDs: ‘Forty Reasons’, ‘The View’, ‘Scream’, ‘Legs Eleven’ and his latest release, Dreams Nightmares and Improvisations. Chad has written music for the television show ‘The Dennis Miller Show’, as well as composing music for Allan Holdsworth’s ‘Secrets’ , ‘Wardenclyffe Tower’ and ‘Sixteen Men of Tain’ CDs. His trio has a performance DVD, ‘Hits Live’.